Suffering a spinal cord injury can be a devastating event in ones life and usually occurs during a large accident. 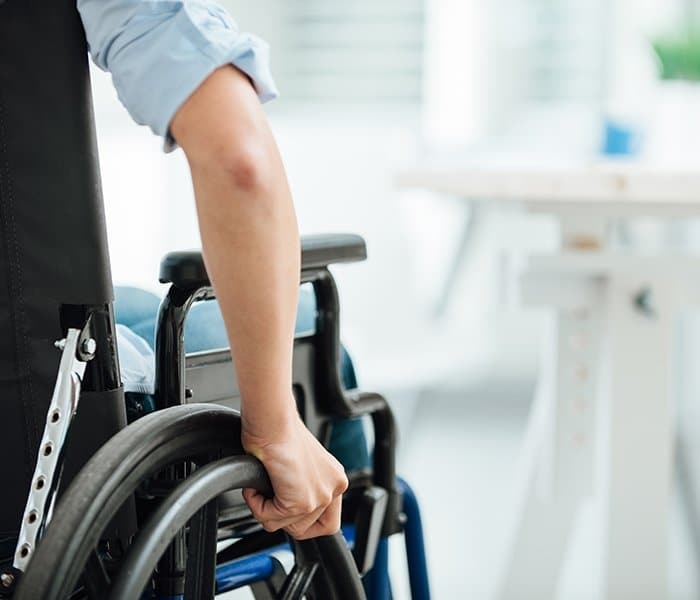 If you or a family member has suffered a spinal cord injury because of the negligence of others call the Law Firm of Frekhtman & Associates and speak with a New York spine injury lawyer for a free, no obligation consultation regarding your rights and options. Car accidents, work related injuries, falls, assaults, and sports traumas are the leading causes of spinal injuries which affect over 10,000 people in the United States each year, 1000 in New York alone. Frekhtman & Associates represent victims of spinal cord injuries in New York City. Right now there are almost 1.5 million people in the United States suffering with a spinal cord injury. Not every spinal cord injury is caused by the negligence of someone else, however hundreds of thousands have sustained spinal cord injuries due to vehicle accidents, falls, both on and off the job, or were the victims of crimes. Why Are Spinal Cord Injuries So Serious? The spinal cord is made up of nerves which transmit information between the brain and the rest of the human body. The spinal cord is covered by 33 circular bones called vertebrae which form the spinal column. Trauma to the spinal cord can fracture one or more vertebrae or dislocate one of the vertebrae moving it out of position and alignment. Trauma can also cause injury to the discs in between the vertebrae. Once spinal cord nerves are injured they do not grow back. Depending on the severity of the trauma, a spinal injury can include paralysis or loss of movement or loss of sensation. The sacrum spinal cord injury lawyers of Frekhtman & Associates have found that lower spine injuries may have better chances of recovery. What Are The Symptoms Of Spinal Cord Injury? Not every spinal cord injury will cause immediate paralysis. Your might have sustained a back injury and damaged your spinal column without realizing the long term effects that this might bring. Usually caused by an injury below the neck leading to loss of feeling and use of the lower part of the body. Where the spinal cord is damaged but full paralysis does not occur. Spinal injury patients may require assisted living facilities and in patient rehabilitation programs depending on the severity of the trauma. Because of the catastrophic nature of spinal injuries, it is important to retain an experienced and qualified New York City spinal cord injury lawyer. Injury to the spine can lead to severe pain radiating from the neck to the shoulders and arms and from the lower back down to the legs. Typical injuries to the spine include herniated or bulging discs, fractures of the spinal vertebrae, radiculopathy, and other back injuries. Common treatments for spinal injuries may include physical therapy and rehabilitation, pain management treatment such as epidural steroid injections, or spinal surgery. Physical therapy includes range of motion exercises and other therapy to alleviate back injuries. An MRI of the spine is a diagnostic test used by doctors to find out what type of injury is causing the patient’s symptoms. 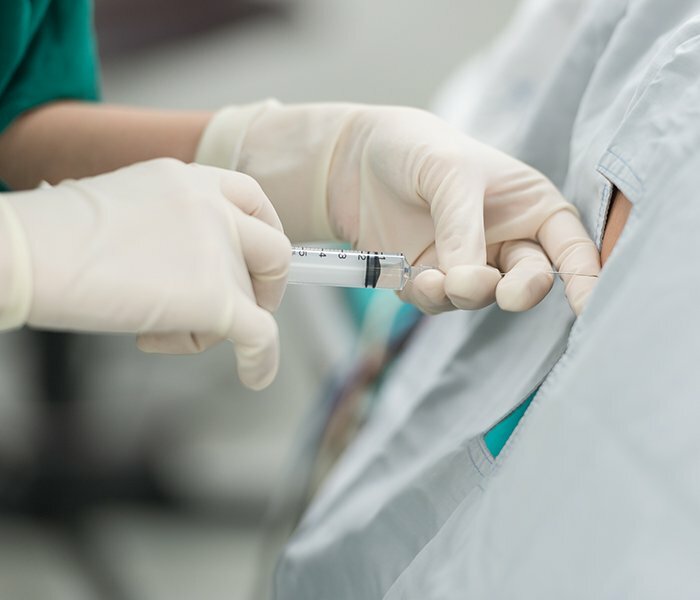 Pain management may include epidural steroid injections in which a doctor injects medicine into the disc space where the patient suffers an injury. The medicine relieves pain and numbs the area providing relief. However, with time, the medicine wears off but the herniated or ruptured part of the disc may still be impinging or touching upon the nerve roots leading to a recurrence of pain and symptoms. Another minimally invasive procedure is called a percutaneous discectomy which is a type of surgery where the doctor decompresses the disc thereby removing the herniation or bulge from the disc. When the minimally invasive procedures fail, a doctor may consider surgery including a discectomy, laminectomy, spinal fusion, or other procedure. Frekhtman & Associates works with top experts to prove liability against defendants and to prove maximum damages at the time of trial. Spinal injuries are devastating because the victims have to deal with prolonged medical, physical therapy, and rehabilitation expenses, lost wages, and severe conscious pain and suffering. What trial experience do you have with spinal cord injury cases? The trial attorneys at Frekhtman & Associates have handled hundreds of spinal cord injury matters throughout New York. Medical doctors to prove the spinal injury including neuro surgeons and orthopedic spinal surgeons? Life care planning experts to devise a plan for the care of the patient for the remainder of his or her life which may include 24 hour rehabilitation, physical therapy, medical visits, prescription medications, future surgery, and or other factors and considerations. A claim can be made for past and future medical and other life care planning costs which the patient or his family will have to pay because of the accident. All of the above experts together with our client’s family will explain the devastating impact the spinal cord injury had on his or her life. We have found that in many serious spinal cord injury cases, sometimes the best strategic decision is to take a case to trial rather than settling. Especially, if the defendant or the insurance company isn’t playing fair during negotiations. A good lawyer firm should have solid negotiation and mediation skills, you want to hire an injury lawyer who is not afraid to roll up their sleeves and litigate in the courtroom. We have substantial trial experience in successfully litigating personal injury cases, including all kinds of back and spinal cord injuries. Our law firm has been able to recover millions of dollars for injury victims over the past years. We are proud to have been the recipient of some of the top verdicts and settlements in New York State’s history. We understand that a personal injury is a life changing event and it can be hard to meet life’s basic expenses after a serious or catastrophic back injury. At our law firm, we strive to make sure our clients receive the compensation they are owed so that they can cover lost wages, pain and suffering, and medical bills. Call us now for a free consultation regarding your rights and options.